What if I have been declined for insurance before? It is best to discuss this with one of our agents, for Health Insurance, that is not a problem, however, your agent will advise you when applying for Life Insurance or Disability Insurance. What if I am on ongoing medication? It is best to discuss this with one of our agents when you are applying for Health Insurance, you’ll want to make sure that your current medication is on the drug formulary of the Health Plan you choose. What if I had a recent illness or injury? It is best to discuss this with one of our agents when you are applying for Health Insurance, you’ll want to make sure that your current doctor, facility or doctor’s group is in the network. You’ll want to share if there will be ongoing treatment, possible physical therapy or surgeries. The more information your agent knows about your situation and future needs will better equip your agent to make an informed recommendation. Does every plan cover maternity? All of the individual ACA plans written with effective dates of January 1, 2014 and later are required to have maternity benefits; however, those plans written prior to January 1, 2014 may cover maternity if you selected that option at an additional premium. Typically, all group health plans treat pregnancy as any other illness, having the charges incurred apply to the deductible and out of pocket maximum. It is best to discuss this with one of our agents to better serve your needs. Will my policy bind me to an annual contract? No, not at all, however, it is best to discuss your options with one of our agents, as there can be rippling ramifications that you may not be aware of that could affect you financially and medically. Remember there are penalties for not having credible coverage for you and your family. Additionally, there are only certain times during the year that you can enroll in a health plan unless you experience a qualifying event that grants you a Special Enrollment Period. When can I enroll for Medicare Advantage and Medicare Prescription Drug Plans? During certain times each year (yearly enrollment periods for Part C & Part D). Each year, you have a chance to make changes to your Medicare Advantage or Medicare prescription drug coverage for the following year. There are 2 separate enrollment periods each year. Open Enrollment Period for Medicare Advantage and Medicare prescription drug coverage. Switch from one Medicare drug plan to another Medicare drug plan. If you switch to Original Medicare during this period, you’ll have until February 14 to also join a Medicare Prescription Drug Plan to add drug coverage. Your coverage will begin the first day of the month after the plan gets your enrollment form. Join, switch, or drop a Medicare Medical Savings Account (MSA) Plan. Drugs developed, manufactured, and marketed with a brand name by a pharmaceutical company. Brand name drugs are typically more expensive that generic drugs. An insurance salesperson that searches for quotes and plan options for individual clients. A management system in which case managers monitor patients’ health care, to improve quality, reduce cost, and ensure the patient receives appropriate care. A request to an insurance company for payment of a service received. Health insurance coverage under any of the following: a group health plan; individual health insurance; student health insurance; Medicare; Medicaid; CHAMPUS and TRICARE; the Federal Employees Health Benefits Program; Indian Health Service; the Peace Corps; Public Health Plan (any plan established or maintained by a State, the U.S. government, a foreign country); Children’s Health Insurance Program (CHIP); or, a state health insurance high risk pool. If you have prior creditable coverage, it will reduce the length of a pre-existing condition exclusion period under new job-based coverage. Any person directly financially relying on insured. Usually includes spouse and unmarried children. The date when insurance coverage begins. Any medical or health care services not covered by an insurance plan. Any person who has control over plan assets, or discretionary authority or control over plan administration, or gives investment advice. Also known as traditional ‘indemnity’ coverage, FFS plans reimburse policyholders for the care they receive, as long as it’s covered, from any health care provider. The list of all covered prescription drugs. Duplicates of brand-name drugs made after the patent expires of the company who developed the drug. Typically, generic drugs are much less expensive than brand-name drugs. And they’re just as safe and effective. Health insurance coverage offered for employees of a business. Law, varying by state, requiring all insurance applicants to be accepted regardless of health condition, health history, age, or any other factor. Health plan options provided by an automated quoting service, an agent, or an insurance company. Legislation that allows people to change jobs and be accepted into their new company’s group health insurance plan regardless of pre-existing conditions or health history. Any health care professional that agrees with a health plan to discount their medical services in exchange for patient referrals. A health plan purchased by an individual from an insurance company, not through an employer. Individual coverage can include your spouse and dependent children. An account to save money for retirement. Funds from an IRA can be moved to a Health Savings Account (HSA). Care in which patients must stay overnight in a medical facility. The factors that determine if an applicant will be accepted into a health plan, including age, health history, and current health conditions. A specified limit on the benefits paid for a certain medical cost. Insurance that provides coverage for major and catastrophic medical care. A type of health insurance that creates an agreement with a ‘network’ of doctors, hospitals, and other care providers. The health plan provides patient referrals in exchange for discounted medical services. The maximum dollar amount of benefits and claims that an insurance company will pay in a certain period of time. The maximum dollar amount of benefits and claims an insurance company will pay in the insured’s lifetime. Extra insurance coverage purchased through private insurance companies to cover some of the health care costs regular Medicare does not. Insurance companies that have no public stock and are owned by the wholly by the policyholders. An informal name sometimes used to refer to the health coverage plans available through the Health Insurance Marketplace. Obamacare often also refers to the Affordable Care Act. Obamacare Summary: Signed into law March 23, 2010 by President Obama, which is where the term “Obamacare” comes from. The next Open Enrollment period will begin on November 1, 2015, but you may qualify for coverage now. The yearly period when people can enroll in a health insurance plan through the Health Insurance Marketplace. The Open Enrollment Period is November 1 – January 31. People may qualify for Special Enrollment Periods allowing them to enroll outside of Open Enrollment if they have certain life events, like getting married, having a baby, or losing other coverage. You can apply for Medicaid or CHIP at any time of the year. The most you pay during a policy period (usually one year) before your health insurance or plan starts to pay 100% for covered essential health benefits. This limit must include deductibles, coinsurance, copayments (doctor office visits and prescription copays), or similar charges and any other expenditure required of an individual which is a qualified medical expense for the essential health benefits. The maximum out-of-pocket cost limit for any individual Marketplace plan for 2015 can be no more than $6,600 for an individual plan and $13,200 for a family plan. Unlike Grandfathered or Transitional/Grandmothered policies (see definitions), once you have met your deductible the coinsurance % applies until you have reached your out of pocket maximum. The copays for doctor visits and prescriptions does not help to meet your out of pocket maximum. Care that does not require a patient to stay overnight in a medical facility. A managed care plan that combines the benefits of a Health Maintenance Organization (HMO) and Preferred Provider Organization (PPO). Like an HMO, POS plans require members choose a Primary Care Physician (PCP). Like a PPO, they provide coverage with any in or out-of-network health care providers. Includes doctors, physicians, hospitals, clinics, specialists, or any health care professional. Insurance plan options provided by an automated quoting service, an agent, or an insurance company. 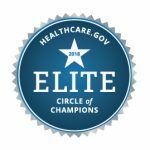 Health care services that help you keep, get back, or improve skills and functioning for daily living that have been lost or impaired because you were sick, hurt, or disabled. These services may include physical and occupational therapy, speech-language pathology, and psychiatric rehabilitation services in a variety of inpatient and/or outpatient settings. An insurance company’s chance of loss. Also refers to the chance of an individual becoming ill or having an accident. An illness or injury that prevents an employee from working for a period of time. An insurance plan that provides insurance coverage for a designated period of time ? usually between one month and one year. Many individuals who purchase short-term coverage include recent college graduates and people in-between jobs. A time outside of the open enrollment period during which you and your family have a right to sign up for health coverage. In the Marketplace, you qualify for a special enrollment period 60 days following certain life events that involve a change in family status (for example, marriage or birth of a child) or loss of other health coverage. Job-based plans must provide a special enrollment period of 30 days. These plans must have been in existence on October 1, 2013 and renewed prior to October 1, 2014. They include some but not all of the ACA features. These plans will be subject to updated premium rates. You may only apply for a renewal policy, not a newly issued policy. Health plans that provide coverage for people while during a trip to another country. The standard amount that is usually covered or charged for medical services and supplies, as recommended by health care professionals. The process in which the care of patients are monitored for cost-effectiveness, efficiency, and quality. Also known as the elimination period, it refers to the temporary amount of time an insured will not be covered for certain health care costs. An additional insurance policy that can be purchased. It waives premiums for a period of time if the insured becomes totally disabled and cannot make monthly payments.